Also known as the Beehive State, Utah residents relate the beehive symbol to industry and the pioneer virtues of thrift and perseverance. The state capital of Utah is Salt Lake City. Utah Travel and Tourist Information with links to official travel and tourism websites and state resources for visitors to Utah. Around Utah, Salt Lake City, Utah Municipalities, Utah National Parks, Utah Tours, Utah Travel Guides. Find out more about Utah before you travel there. The Mormon leader told his followers, "This is the right place," on July 24th, 1847. Beehive House, built in 1855, was the Salt Lake City home of Brigham Young. Discover how Brigham Young and his family lived in the 1800s, during a free 30-minute tour of the Beehive House. The international headquarters of the Church of Jesus Christ of Latter-day Saints (Mormons) is the Salt Lake City's major landmark. Find hotels in Salt Lake City, Utah with special online rates. The Bryce Canyon National Park, near Panguitch, is nature's sculpture. The pink and red limestone spires have been chiselled out over the centuries by wind and water. Find a State Park in Utah from the map or alphabetical listings. To Brigham Young the area around the Virgin River, in the south-west corner of Utah, was very nice, but not Zion. Spiritual Centre of the Colorado Plateau. People from all over the world come to Moab to enjoy the breathtaking scenery and partake in the endless opportunities to meet nature one on one. From mountain biking to white-water rafting, hiking, climbing and camping the options for outdoor recreation and beautiful views are limitless. Utah gets its name from the early Ute people of the region. States neighbouring Utah are: Nevada, Idaho, Wyoming, Colorado, New Mexico and Arizona. Half of the State of Utah is spread out on the Colorado plateau, 1,200 metres above sea level, where minimalist landscape photographers will enjoy the variety of shapes and colours in changing light conditions. The Colorado River has beautifully carved many gorges and canyons, as it twists and turns through the soft sedimentary rock of the plateau. An excellent example is the Meander Canyon in Dead Horse Point State Park, in eastern Utah. Nature rises and falls dramatically in Utah, with King's Peak top of the ranges at 4,123 metres. The state is an ideal location for winter sports enthusiasts. Those seeking solitude can also have plenty of that, and it is not without reason that the Mormons originally set themselves up here in 1846-1847, when it was still a part of Mexico. The Go Utah Travel and Recreation Guide provides more than 1,200 pages of travel information about Utah covering more than 55 destinations. The official site of the Utah Travel Council. Plan your trip to Utah with things to do and places to see. The Government of Utah opens its virtual door to visitors. 1. Tread lightly when travelling and leave no trace of your camping. Drive and ride only on roads and trails where such travel is allowed. Hike only on established trails, on rock, or in washes. Camp at designated sites or, where allowed, at previously used sites. Avoid placing tents on top of vegetation and use a camp stove instead of making a campfire. Unless signs indicate otherwise, leave gates open or closed as you find them. 2. Help keep Canyon Country clean. Pack out your trash and recycle it, cleanup after less thoughtful visitors, and dispose of human waste properly. 3. Protect and conserve scarce desert water sources. Camp at least 50 feet from isolated water sources to allow for wildlife access. Where possible, carry your own drinking water. Leave potholes undisturbed and wash well away from pools and springs. 4. Allow space for wildlife. When encountering wildlife, maintain your distance and remain quiet. Teach children not to chase or pickup animals. Keep pets under control. 5. Leave historic sites, Native American rock art, ruins, and artefacts untouched for the future. Admire rock art from a distance and never touch it. Stay out of ruins, leave artefacts in place, and report violations. 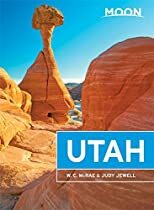 Utah Travel Guides - Utah Maps.